Papua New Guinea is the custodian of Australia’s Pacific War history. A place where our wartime relics have rusted in peace in remote jungle clad mountains for the past 70 years. The names of hitherto unknown places are emblazoned on Army, Navy and RAAF Battle Honours every Anzac Day – Coral Sea, Milne Bay, Kokoda, Buna, Gona, Sanananda, Finschaffen, Lae, Wau, Shaggy Ridge, Bougainville and Wewak. 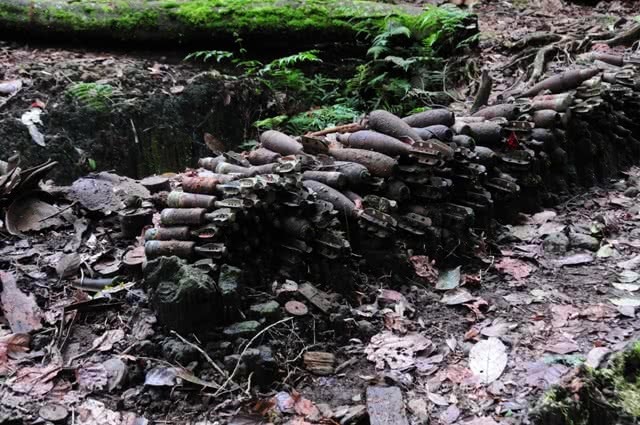 The Kokoda Trail is one of many jungles shrines littered with relics of desperate battles fought between Australian and Japanese soldiers in late 1942. It lay dormant in the minds of Australians for five decades after the war until Paul Keating became the first Australian Prime Minister to visit the village that bears its name. Government interest in the preservation of the Kokoda Trail receded for another decade until Prime Ministers’ John Howard and Sir Michael Somare opened a significant memorial at the village of Isurava on the 60th anniversary of the campaign. The awareness of these two ceremonial occasions led to increasing numbers of Australians wanting to walk in the footsteps of the brave. However it wasn’t until a public outcry over the threat to mine a large part of the trail that the Australian Government finally took more than a token interest in the area. The public were united in their opposition to the possible destruction of such an iconic part of our military heritage. Unfortunately the Howard Government miscalculated and allocated responsibility for the preservation of the Kokoda Trail to the Department of Environment, Water, Heritage and the Arts (DEWHA). Most probably because the Heritage Division was responsible for the List of Overseas Places of Historic Significance to Australia which was established under the Environment Protection and Biodiversity Conservation Act 1999 (EPBC Act). The status of ‘Heritage’ has since been dropped from what is now the Department of Sustainability, Environment, Water, Population and Communities (DSEWPC). ‘Arts’ has since been added to the Minister’s responsibilities but does not show up in the current acronym.DEWHA set out to use the Kokoda Trail as a gateway to ‘assisting’ the PNG Government to develop a case for a World Heritage Listing of the Owen Stanley Range. This is indeed a noble objective and a great deal of good work has been undertaken in this regard. The objective should continue to be supported. Unfortunately the Kokoda Trail has been subsumed into the broader thrust to achieve a World Heritage listing and the wartime historical value of the Kokoda campaign has been seriously eroded. Since 2008, Kokoda seems to have been used as a subterfuge for DEWHA/DSEWPC to pursue an environmental agenda in Papua New Guinea. A Joint Agreement with an emphasis on global warming speak was signed with great fanfare but terms relating to the protection of our ‘military heritage’ did not rate a mention. One can only speculate how ‘joint’ the agreement was in the framing process. Highly paid Canberra envirocrats with tax-free salaries and generous allowances were dispatched to advise/assist the PNG Government to ‘save’ the Kokoda Trail. It was the first trip to PNG for most of those involved. The trail quickly became a lucrative honey-pot for a coterie of anointed consultants who came, saw, held talk-fests, produced 5-point action plans – and left with a wallet full of booty. The results speak for themselves. When the envirocrats arrived in 2008, 5621 Australians trekked Kokoda. After three years of ‘assistance’ resulting in a ten-fold increase in staff, a conga-line of consultants and more than $20 million of taxpayers’ money, the numbers decreased to 2914. Projects initiated, without any reference to relevant PNG authorities or the trekking industry included the construction of massage parlours, a failed $3 million ‘Village Livelihood Project’ that has not produced a single dollar and a dysfunctional management structure. A couple of ‘case studies’ are attached. But of more concern is Canberra’s patronising attitude towards PNG leaders and villagers. Their ‘chosen’ PNG ‘CEO’ was the first villager from the Kokoda Trail to graduate from the University of PNG. His salary was $25,000. His Australian counterpart was on a tax-free salary of $180,000 plus generous overseas allowances for working in Port Moresby. The PNG ‘CEO designate’ was patronised as a ‘token Papuan’ by the envirocrats. He was flown to Canberra for indoctrination and hosted on a number of visits to various national parks. They even allowed his wife and small children to accompany him on at least one occasion. It was a subtle way of ensuring his acquiescence in dealing with ‘issues’ along the Kokoda Trail. The ‘CEO designate’ watched as Australian ‘volunteers’ were flown in to do ‘track-work’ his people had been doing for centuries. He observed NGO’s on the AusAID drip using the name ‘Kokoda’ to give relevance to feel-good projects that would otherwise be unremarkable. He briefed consultants who earned more in a couple of weeks than he earned in a year. He is now the CEO. But his salary has not changed and he has no entitlement to the generous allowances his DSEWPC ‘mastas’ enjoyed. The results of their talk-fests – glossy ‘Codes of Conduct’, nebulous ‘Licensing Conditions’ and fluffy ‘Strategic Plans’ remain as meaningless tokens to their presence. 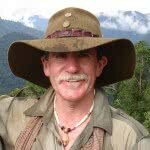 The lack of any legislation supporting management protocols for the Kokoda trekking industry; an obsolete website; a lack of integrity in the trek permit system; the lack of a campsite booking system; poor governance; and a complete failure to protect the welfare of local PNG guides, carriers and campsite owners are testimony to the failure of the Australian Government ‘assistance package’ since 2008. It seems we have learnt little from our colonial experiences in PNG. Patronising white ‘mastas’ still exist – but in different forms. They dictate what is best for the ‘native’ population through Port Moresby based ‘capacity building’ programs, village ‘livelihood’ projects, 4-star hotel forums and 5-point plans. Pioneering Kokoda trek operators are regarded as ‘blackbirders’ and remote village workshops with local clan leaders are considered an unnecessary inconvenience. AusAID funded NGO’s refer to a ‘cycle of poverty’ along the trail as a form of emotional blackmail for potential donors. The facts actually reveal a cycle of unprecedented wealth over the past decade as more than 30,000 trekkers have generated around $20 million for village communities. Nearby villages on adjoining mountain ranges have been ignored by the NGO community because they obviously don’t have the name ‘Kokoda’ attached to them. One can only wonder why the Australian Government has not commissioned the University of Papua New Guinea to conduct research into the distribution of the wealth generated by the Kokoda trekking industry. How much is retained by the Seventh Day Adventist Church? How is the money distributed between various clans? How much is invested in village community development? How much is extorted by the ‘Moresby Mafia’? Until we know the answers to these questions we will never be in a position to help them develop investment strategies. Clan leaders have no incentive to do this so long as Aid funded NGOs continue to patronise them with charitable handouts – no matter how well meaning. It is interesting to note that the Department of Veterans Affairs (DVA) has been allocated $10 million to establish a WWI interpretive trail in France and Belgium to commemorate the centenary of Anzac in 2015. It would seem logical that DVA would also be allocated responsibility for the protection of our WWII interpretive trail which is Kokoda. The corporate knowledge gained in the development of our WWI trail will most likely be lost if it remains in a separate Government department with such a wide range of responsibilities – none of which are related to our ANZAC heritage. DSEWPC has much to answer for. There is no evidence of a single sustainable outcome from their initiatives along the trail during their watch. Apart from safety projects at the Kokoda airfield and the Owers Corner road most of their $20 million Aid budget has boomeranged via Australian salaries, consultant fees and talkfests. It is also apparent that Australian managers unfamiliar with PNG soon find the frustrations of their working environment too difficult to handle. They then ‘manage’ their jobs through to the end of their tenures and mask their lack of achievement with reports, meetings and conferences regarding codes of conduct, licensing conditions and consultant liaison tasks. It is now time to stop and revisit our objectives for the Kokoda Trail. We have to acknowledge that DSEWPC’s attempt to introduce a proper, effective and accountable management system for the emerging Kokoda trekking industry has been an unmitigated failure. We have to acknowledge that Kokoda is a wartime historical pilgrimage. Most trekkers want to walk in the footsteps of our diggers; to experience the conditions under which they fought and died; to learn about the history of the campaign; to commemorate those who died and salute those who returned. They don’t trek Kokoda to have an ‘enviro-levitation’ or to experience a ‘cultural awakening’. That comes later. Kokoda is the gateway to Australians learning more about our wartime history in Papua New Guinea and more about the complex cultural diversity and stunning environment of our closest neighbour, former territory and loyal wartime ally. It is the gateway for re-establishing empathetic relationships that have drifted since independence in 1975. Papua New Guinea is the repository of Australia’s Pacific wartime history – a living museum. It is therefore important that significant locations be identified, protected and preserved. Local landowners are the custodians of these places. They must therefore be included in any serious initiatives to maintain and protect them and they must receive an economic benefit for doing so. It is therefore timely to review the development of the Kokoda Trail as a model for wartime tourism in Papua New Guinea. The primary focus of the model should be the client who is willing to pay for a trek across the trail, and the owners of the land along the way. Government has a responsibility to ensure the trail is safe and reflects the military history of the Kokoda campaign; that proper and enforceable management protocols are established; and that local villagers receive shared benefits from the trekking industry. The management structure for the Kokoda trekking industry should be developed as a business enterprise. Current figures indicate the industry generates around K35 million per year. This is worthy of a professional management structure to ensure the product realises its potential and that the interests of the two primary groups i.e. trekkers and landowners, are protected and satisfied. The figures indicate that Kokoda has now reached a sustainable threshold. This means that Aid funds and NGO resources can be diverted to other wartime areas of historical significance in Oro Province such as Goiari, Oivi, Awala, Kumusi, Buna and Gona. The Kokoda Trail is a serious physical challenge with significant risk factors involved. It is therefore imperative that a credible licensing system be developed for trek operators to ensure they are trained and equipped to lead trekkers safely across the trail. Campsites should be established with clean and discrete toilets for male and female trekkers. Adequate facilities should be available to prepare, cook and eat meals, pitch tents and dry clothes – for both trekkers and their PNG support crews. Interpretative memorials should be constructed at battlesites along the trail to indicate the significance of the area. A system of booking campsites should be established to provide certainty to trekkers who invest a significant amount of time and money in preparing for their pilgrimage. The most effective way to engage landowners is to speak with them on their land on a regular basis. This can be achieved by engaging experienced facilitators familiar with local culture and language to conduct village workshops at the beginning of each trekking season. Management needs to understand their expectations and work to ensure they receive shared benefits from the trekking industry. They should establish a ‘Memorandum of Understanding’ with each of the village communities along the trail and have a ‘dispute resolution team’ available to visit areas at short notice to address local grievances before they escalate. The welfare of PNG guides and carriers should be a primary concern of the managing body. These men are the backbone of the industry and the public face of PNG. They are truly masters of their environment and should be treated as such. The management body must ensure they are properly clothed, equipped, fed, accommodated and paid for each trek they complete. An industry minimum of two (2) PNG guides/carriers for each trekker should be implemented for groups who arrange a half-way food drop and three (3) for groups who don’t. This will ensure they are not overloaded and will create more employment opportunities. It is worth noting that the current weight limit established by Australian ‘advisors’ for the Kokoda Track Authority is significantly higher than the allowable weight permitted for carriers during WWII. An increasing number of Australian charities are using the Kokoda Trail as a lucrative fundraising opportunity for their respective causes. Unfortunately there is no record of them leaving anything behind in PNG. There is potential for a professional management body to fund the establishment of a ‘Kokoda Health and Education Trust’ by introducing a levy on Australian charities using Kokoda for fundraising purposes. This will ensure villagers along the trail receive a rightful share of these ‘philanthropic’ endeavours. Government Aid funding should be directed towards the establishment of a small professional management structure and the development of an interpretative memorial plan reflecting the wartime history of the Kokoda campaign. The Isurava Memorial is a splendid example of how a piece of virgin jungle can be transformed into a sacred place of reflection for trekkers and how such a memorial can enrich a local village economy. The unauthorised iron monoliths at Owers Corner and Kokoda demonstrate how easily significant sites can be desecrated without such a plan. In 2012 the Kokoda trekking industry generated around K2.5 million for village economies. This income can be significantly increased with innovative management. This opportunity will not be realised whilst local villagers can rely on Aid funding and NGO activity to meet their needs. It is therefore time to move Aid funded projects and NGO initiatives further north into Oro Province to assist landowners at other significant battlesites to develop their potential for wartime tourism. It is interesting that Papua New Guineans refer to the war in New Guinea as ‘Australia’s’ war. They don’t regard it as ‘their’ war and therefore don’t see any need to develop significant sites relevant to ‘our’ history. The Australian Government will therefore have to create the vision and develop the necessary plans to ensure the integrity of our wartime history is properly preserved for future generations. Such plans must be developed in partnership with the PNG government to ensure local cultural, economic and environmental issues are incorporated into them. The Kokoda Trail can be a world class model and a gateway to a wartime industry in PNG if we get it right. “The trek provided an excellent opportunity for me to learn more about Australian culture. I was not particularly interested in the military significance of the Kokoda Trail before the departure. However, Charlie’s encyclopaedic knowledge of the Kokoda campaign and actual experience of the hardships have changed me. The heroic history should be more publicised and the Kokoda spirit widely promoted. The Diggers fought inch by inch to fulfil their duty as soldiers. How much of this spirit is still alive in modern society? What is the main personal drive for good performance, promotion or fulfilling one’s professional duty? Where is the balance between contribution and reward? I will certainly remind myself of these questions more frequently and strive to fulfil my duty as an ordinary citizen. “I feel the barriers between different cultures and races were insignificant in the bush and in the face of adversity. The Board of Directors include the Governors of Central and Oro Province; the RSL; Secretary of the Office of Tourism Arts and Culture; Secretary of the Department of Conservation and Environment; Secretary of the Department of Community Development, a retired Chief of the PNGDF and a distinguished PNG business leader. Legislation be developed to support the objectives of the Corporation, namely the management of trekking on the trail to preserve the interests of both landowners and trekkers. Annual workshops be conducted in selected villages. The Department of Environment, Water, Heritage and the Arts (DEWHA) developed a Village Livelihoods Project for the Kokoda Trail in 2009. There was no consultation with the Kokoda Track Authority, the PNG Department of Community Development or experienced trek operators in the formulation or implementation of this project. The Kokoda Track Authority was not aware of the project until the Australian project team arrived in Port Moresby. 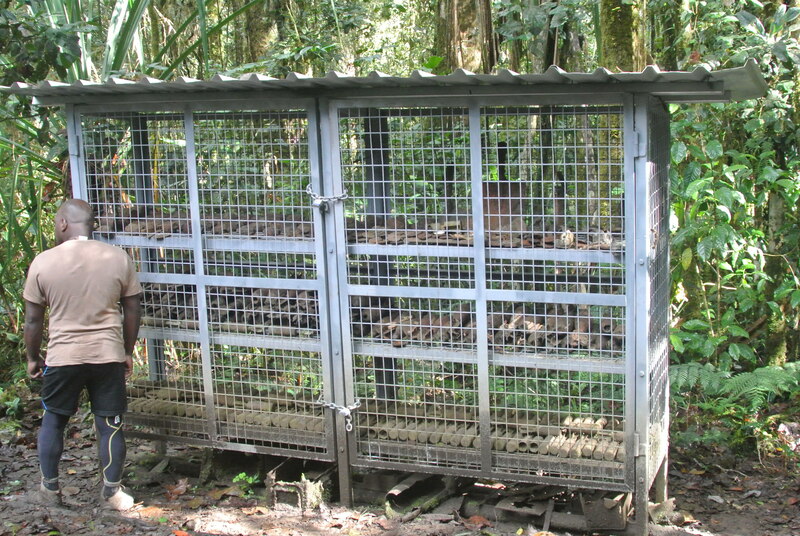 According to the former Chief Executive Officer of the Kokoda Track Authority, Mr Rod Hillman, the more than $3 million of Aid funds have been expended on the project during the period 2009 – 2011. As of April 2013 there is no evidence of a single, sustainable outcome from the project in any village along the trail. This is because the Department responsible for the development of village Community Learning Centres in PNG and the experienced operators who bring trekkers into local village communities were ignored in the process. Trek operators are vital to the success of any such program along the trail because they advise their trekkers how much cash to bring and what they can spend it on. They are aware that village food supplies are unreliable and therefore the ingredients for all meals must accompany their groups. Fresh food and vegetable supplements have been purchased from local villagers for more than 20 years. There are opportunities for local villagers to earn additional cash from trekkers by offering a laundry service; selling brewed PNG coffee and scones; conducting a local ‘sing-sing; selling billums with the name of their village embroided on them and carving sticks. Such an initiative can increase the earning capacity of a campsite ten-fold. There is also an opportunity for local business development through the establishment of a trade store at villages such as Menari and Efogi. If trek groups could purchase items such as rice, potatoes, cereals, long-life milk, etc they would not have to carry so much. Alternatively they could establish secure store-rooms to enable trek groups to hold bulk reserves. Such initiatives cannot be considered whilst the authorities responsible for the Village Livelihoods Project exclude trek operators from the process. Under the current arrangement the project will disappear without trace as soon as the Aid funding ceases. For the first 20 years of my involvement with the Kokoda Trail the only topographical maps available had been produced by the Royal Australian Army Survey Corps in the 1970s. In mid-2000 Garmin produced GPS devices whose signal could penetrate the jungle canopy and register accurate location details. We purchased a number of these devices for our trek leaders, engaged a cartographer and began the process of producing an accurate 1:50,000 topographical map of the Kokoda Trail. Soon after the Australian management contingent from DEWHA arrived in 2009 I presented the CEO, Rod Hillman, with our first draft copies of the map to assist them in their endeavours to manage trekking operations along the trail. Mr Hillman was advised that this was a work in progress and I advised him that I would get our trek leaders to report to his office and provide him with updated information on the condition of the trail and any issues with local villagers and campsite owners. This was an act of good faith on our behalf and our trek leaders duly reported in to update the information. The cartographer we engaged, Mr Laurie Whiddon, is the proprietor of Map Illustrations. He is an adventurer and highly respected in his profession. Among our trek leaders involved in the collection of mapping data over a period of three years were a former Royal Australian Navy Commodore who had previously commanded two of our frontline battleships; a former infantry major who was a jungle training instructor and decorated with a Military Medal for his combat leadership in Vietnam; and a former Lieutenant-Colonel who served in PNG, is fluent in the local language and first trekked Kokoda more than 30 years ago. The investigators into the fatal air crash on Kokoda in 2009 sought permission to use my map for the official investigation because it was the only reliable mapping data available at the time. They acknowledged this fact in their final report. I was therefore stunned to learn that the Kokoda Track Authority and the Australian Government engaged a contractor in what is obviously an ‘insider’ tender process to duplicate our work and produce a similar map. The successful bidder was not familiar with the Kokoda Trail and only trekked across and back to gather his data. The rest was obtained from information provided by our company. We completed approximately 30 crossings of the trail over a three year period to gather our data. We travelled to the War Memorial and the National Library to examine wartime sketches and maps and we had numerous meeting with our cartographer to validate the information. We invested more than $30,000 in the project but were confident that we would recover the money through the sale of our maps. They then put the map on sale in direct competition to the one we produced. ‘I cannot understand why the Australian Government would publish a map of such a rugged and remote area if they were not prepared to authenticate its accuracy. I believe it fails the duty of care test. ‘We did not need to print a disclaimer on the topographical map we produced (copy enclosed) because we invested a great deal of time, energy and money into checking, cross-referencing and validating its accuracy prior to publication. ‘I do not believe the production of commercial maps for commercial purposes was a valid part of the charter of the Australian management seconded to the PNG Kokoda Track Authority. ‘I also believe that the use of information provided in good faith by our trek leaders to produce a map was disingenuous. It was also unethical not to acknowledge the information they provided. Our company, Adventure Kokoda Pty Limited, is a registered business with ASIC and has always met its taxation obligations. The PNG Kokoda Track Authority is financed by the imposition of trek fees paid by licensed trek operators. Adventure Kokoda has paid almost PNGK 1 million since the authority was established. The Government map was withdrawn from sale and $40,000 of taxpayer funded Aid was wasted. When we first commenced trekking in 1992 there were very few campsites along the trail and they had virtually no facilities. As trekker numbers increased over the years we provided funding to a number of local landowners to establish campsites that would meet the needs of our trek groups. A couple of other trek operators made similar investments. 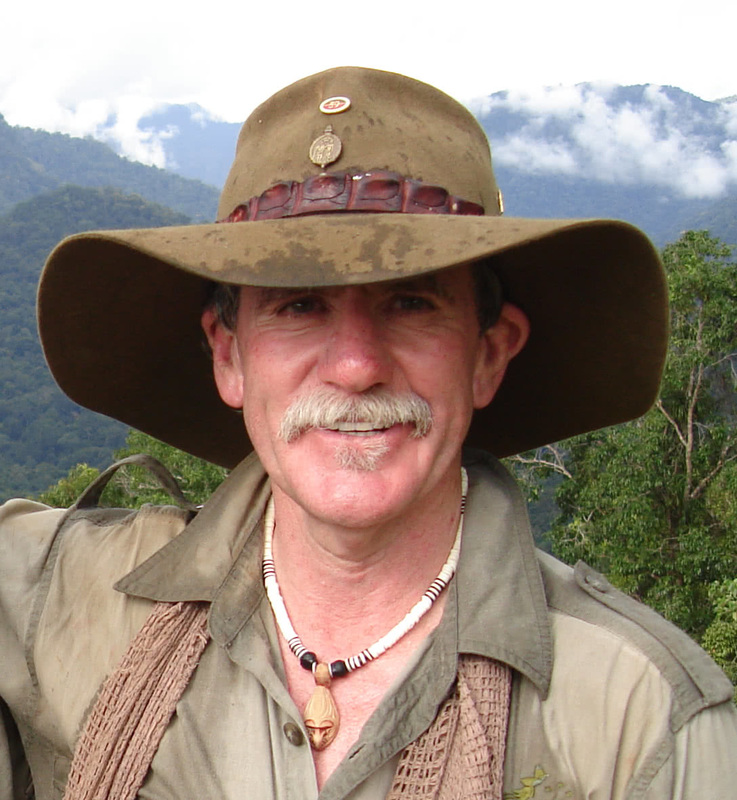 Over the years we have invited executives from the Kokoda Track Authority to accompany our treks to share the experience with the paying customer and to obtain their direct feedback on their reaction to historical presentations, their views on trek maintenance, their requirements at campsites, etc. They consistently refused to join any of our treks and to this day they have no idea of the impact of the historical aspects of the pilgrimage on the paying customer. After four years in situ they then contracted yet another consultant to do a campsite survey. Once again trek operators have been ignored in the drafting of the Terms of Reference and have not been asked to provide any input. If we were we would advise that campsites for our trek groups need to have sufficient flat, grassed ground for up to 40 tents; a drying hut with space for three fires; a mess hut with a food preparation/serving area and a table that will seat up to 40 trekkers; sleeping accommodation for up to 80 guides and carriers; three toilets with plastic seats for males and one for females; and four bush toilets for the guides and carriers. Not all campsites need to have this capacity and it would be a relatively simple task to establish a plan to suit the needs of different sized groups. Experienced trek operators who specialise in the military history of the Kokoda campaign have offered to provide this information to the Kokoda Track Authority over a number of years but have their offers have been ignored. The Campsite Survey has been completed by the Aid funded consultant but it, along with every other consultants report, has been kept secret from the people it is supposed to help. I found a mortar ammunition dump approximately 10 years ago whilst I was investigating the area around Lake Myola with a local landowner. It was off the side of a remote track that was used by local hunters. It was part of an ammunition storage system that supported the mortar baseplates out on the lakebed of what is called Little Myola. The mortars would have been positioned to support the Australian hospital and logistic support bases on Big Myola. The position comprised a large ammunition storage pit and a large quantity of mortars, M36 grenades, clips of .303 ammunition, detonators and fuses. Lying around the area were rotted army boots and a couple of rusted shovels. The ammunition was stacked in rows beside the pit and covered in moss that had gathered over the past 60 years. This gave the position a haunting appearance in what is known as the moss forest. I reported the discovery to the PNG Kokoda Track Authority but at that stage it was operated by an expatriate manager and a part-time secretary and there was little interest in the preservation of historically significant sites along the Kokoda Trail. The site is owned by villagers from nearby Naduri. They protected the area as best they could and earned a respectable living by charging trekkers about $5 each to visit it. After four years and Aid funded decision maker obviously decided it was time to take action. But rather than preserve the area within a reinforced glass enclosure to preserve the moment in time that it was abandoned, they build a steel cage, stowed all the ammunition within it, and locked it up. As a result of this desecration the historical integrity of the position has been destroyed forever and the local landowners have been denied an income stream because there is no need for trekkers to visit the site anymore. 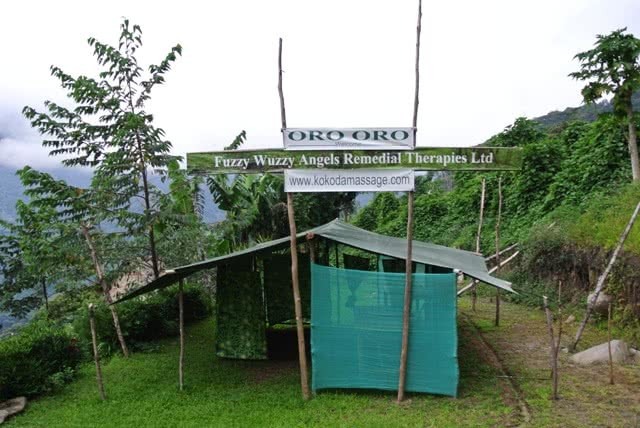 The erection of a massage parlour at the Isurava battlesite on the 70th anniversary of the Kokoda campaign was an ill-considered, insensitive and irreverent initiative undertaken without any consultation with the Ex-service community or trek operators. A similar parlour was built in Efogi village. It seems that the parlours are the result of a thought bubble from an Aid funded Australian consultant. The consultant’s report has never been published and the cost is unknown. What is known is that no Australian trekkers have used either facility. The establishment of massage parlours along the Kokoda Trail reflects a disturbing ignorance of local culture. Villagers along the trail strictly observe the preaching’s of the Seventh Day Adventist Church. As a result trekkers are advised to respect the Sabbath and be modest in their dress when bathing at village wash points. Koiari and Orokaiva culture includes traditional dances which include bare-breasted women. This is not an indication of permissiveness. Both cultures have strict cultural traditions relating to initiation ceremonies and bride price for young women. ‘Touching’ does not have a place in either culture. Massaging foreign tourists is therefore a foreign concept within these village cultures. The co-location of massage parlours is also a foreign concept within the charter of the Office of Australian War Graves.